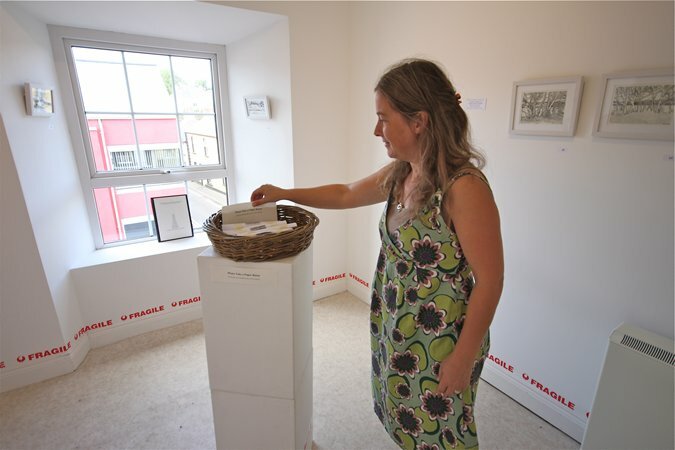 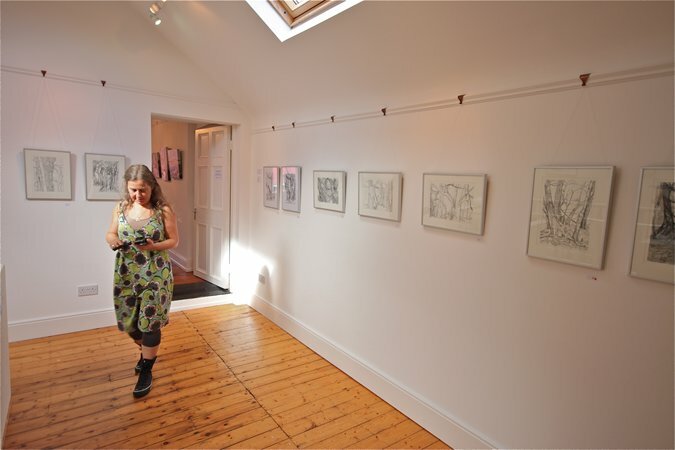 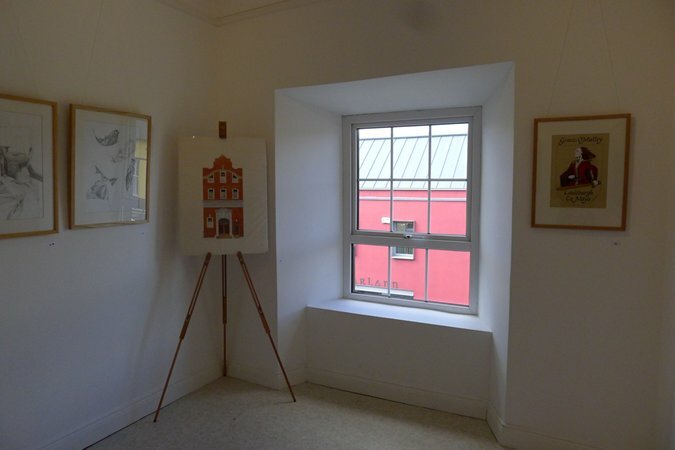 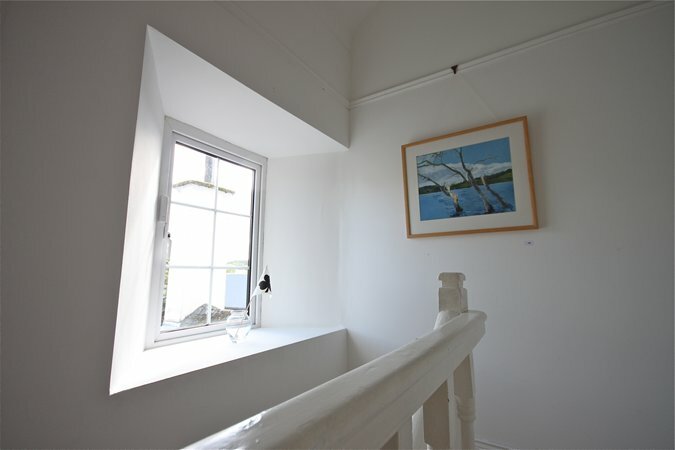 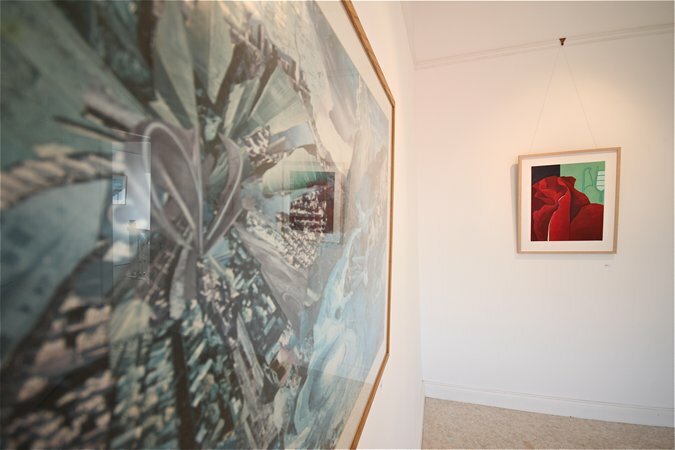 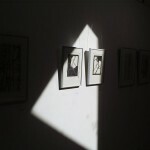 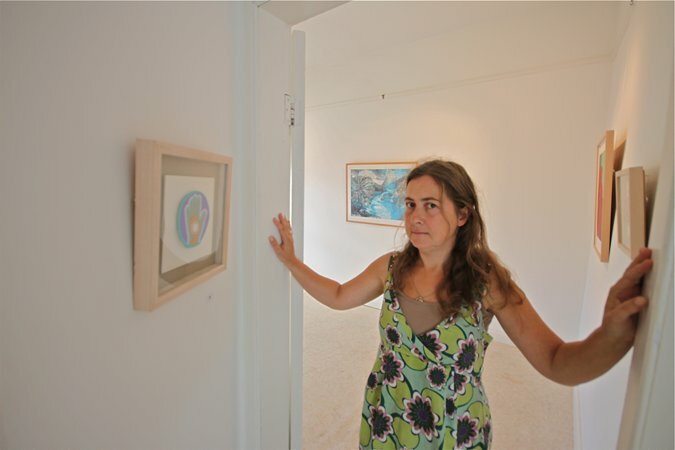 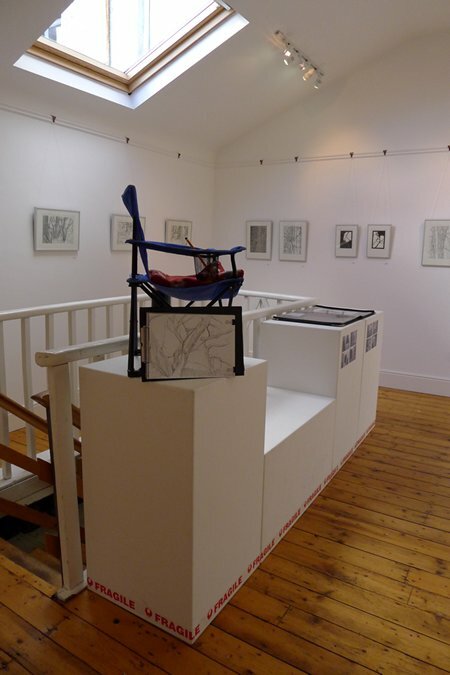 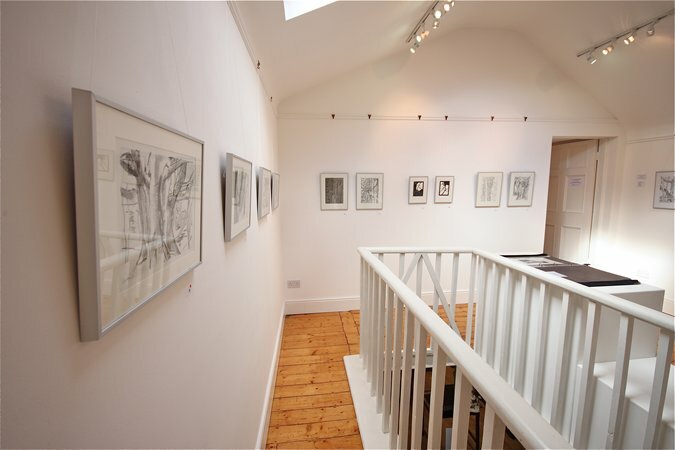 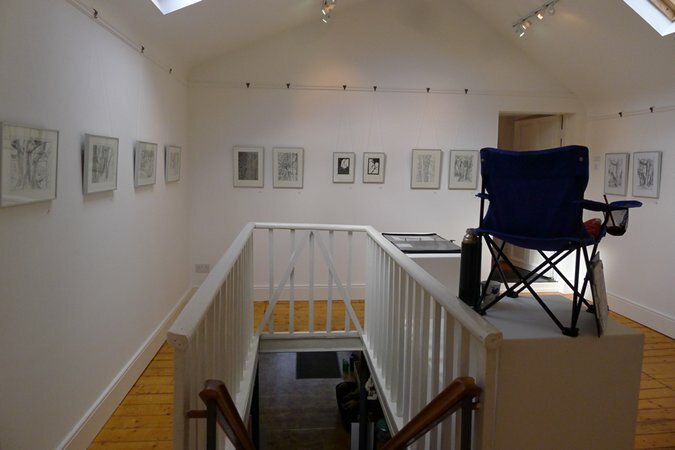 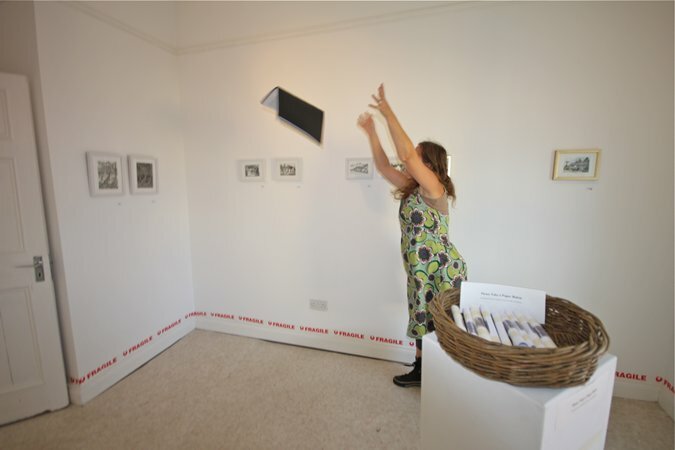 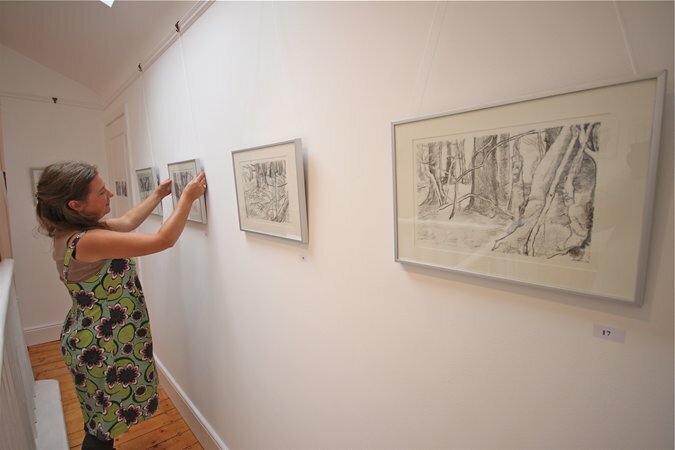 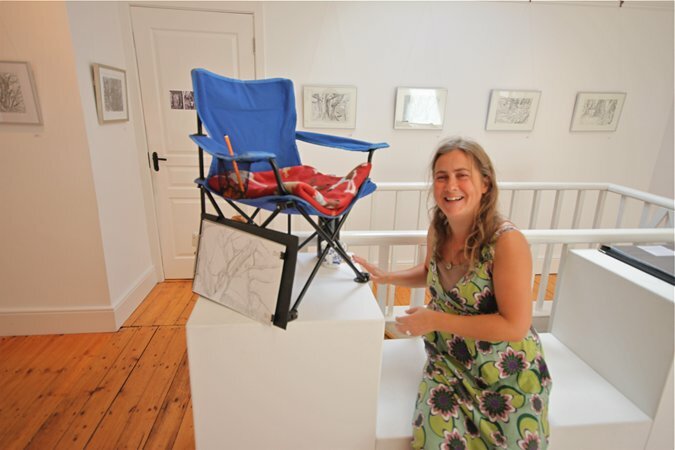 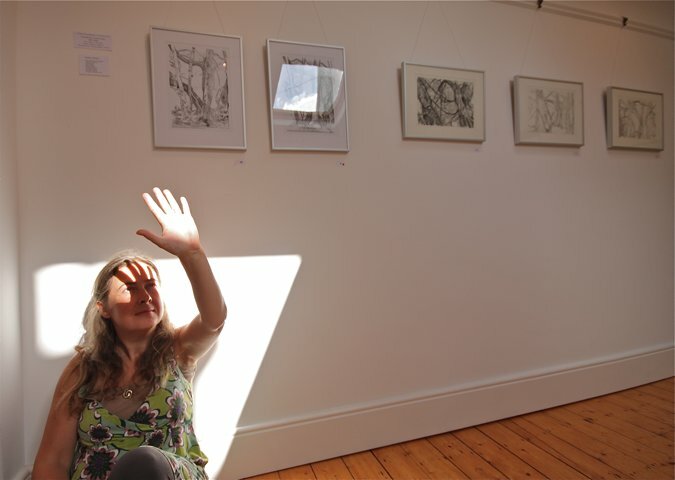 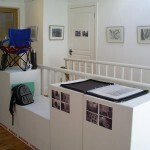 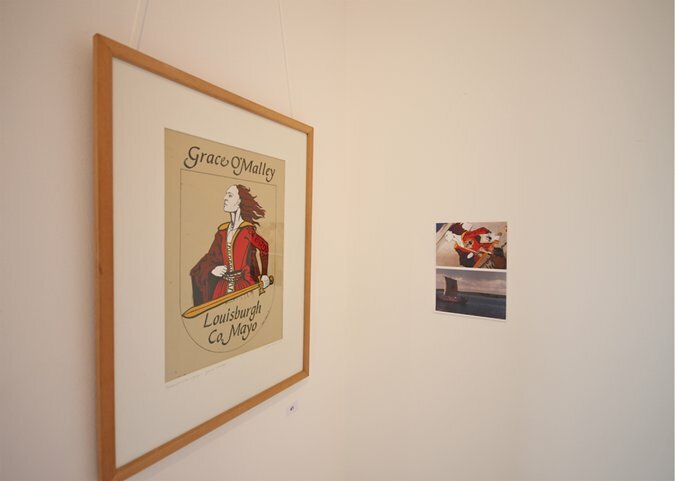 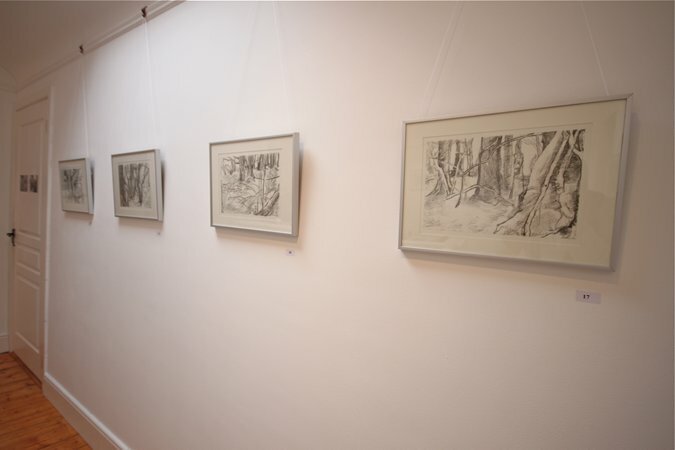 August – September 2012 @ Solas Gallery, Ballinamore, Co. Leitrim. 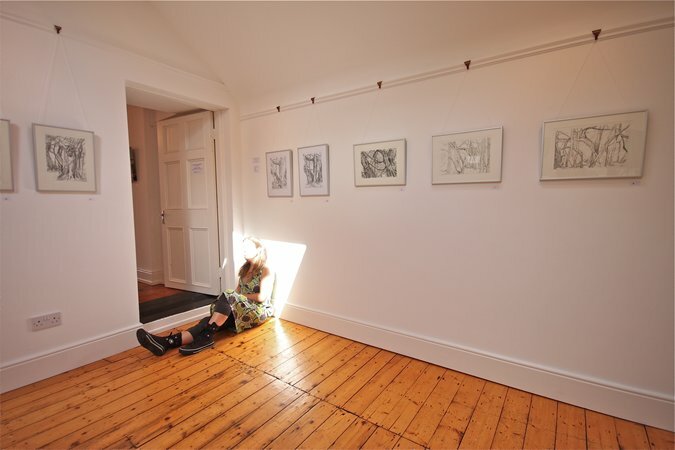 There comes a time when you just have to sit amongest and under trees for a long time. 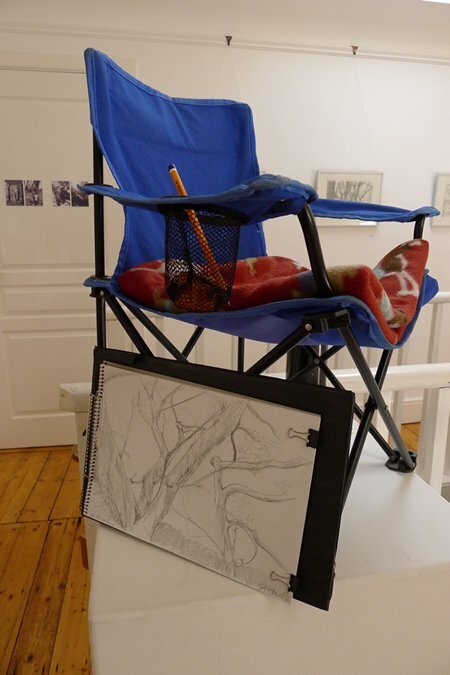 I applied for a Solo Art Exhibition in the Autumn of 2011, with the intention to go out with back to basics of pencil, and A4 pad, small blue fold out chair with a flask of tea and sandwiches to back me up, and sit for a long time. 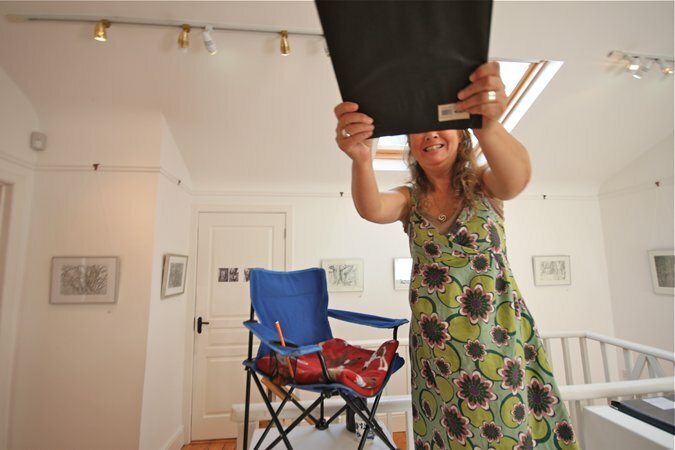 A blue Tarpaulin was added to the collection of stuff to bring, for the rain, if it rained and it did at times. 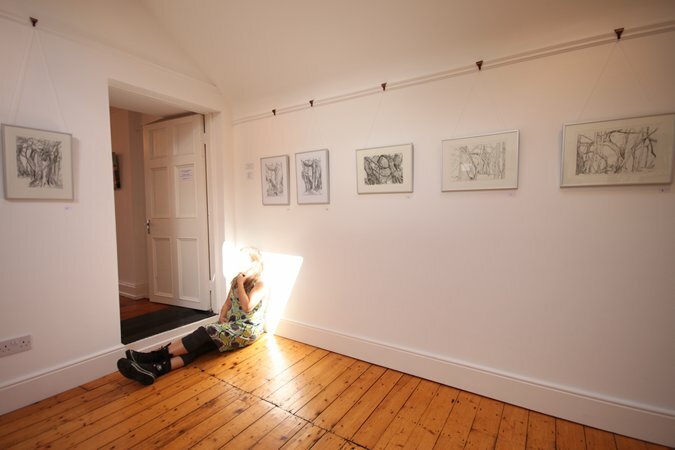 The Autumn of 2011 was spent doing exactly this on a daily basis, out the door to go sit and sketch amongest trees at Garadice amenity and Haughton’s Shore – both by Garadice Lake, Co. Leitrim. 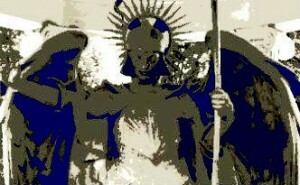 Many layers were worn. 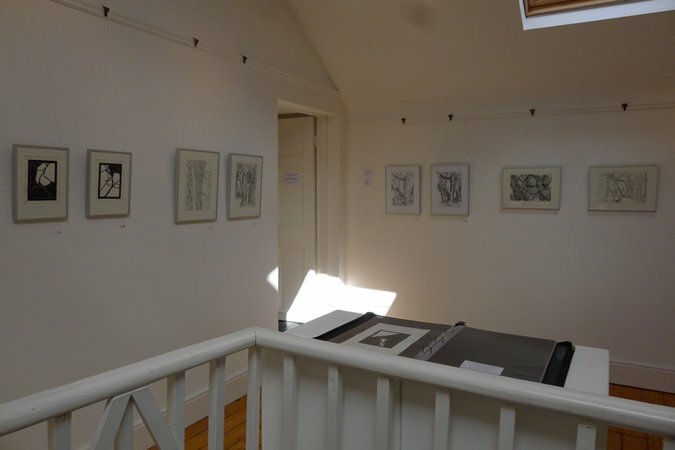 Spring came round, and then the disciplined mono-printing of the images I had sketched amongst tall trees, until the end of June. 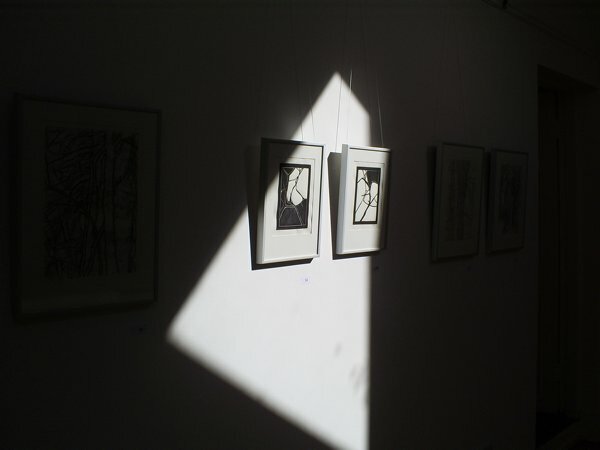 The Flask of Tea was exchanged with a pot of tea, and standing each day at my drawing table, hand-printing the mono-prints. 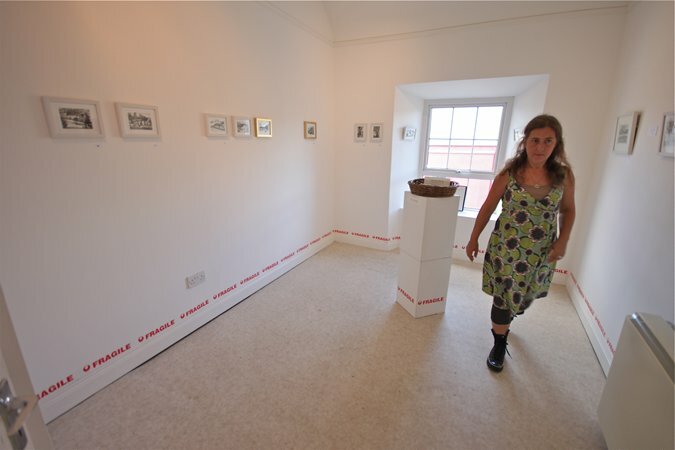 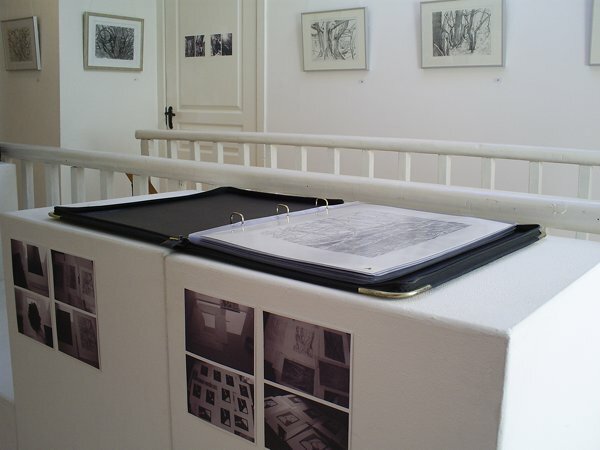 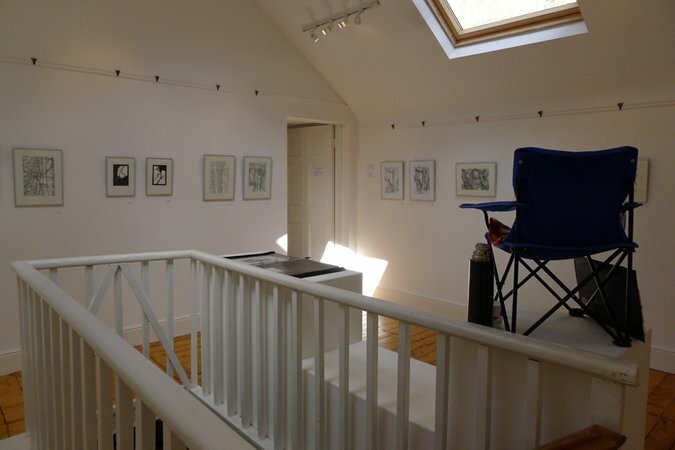 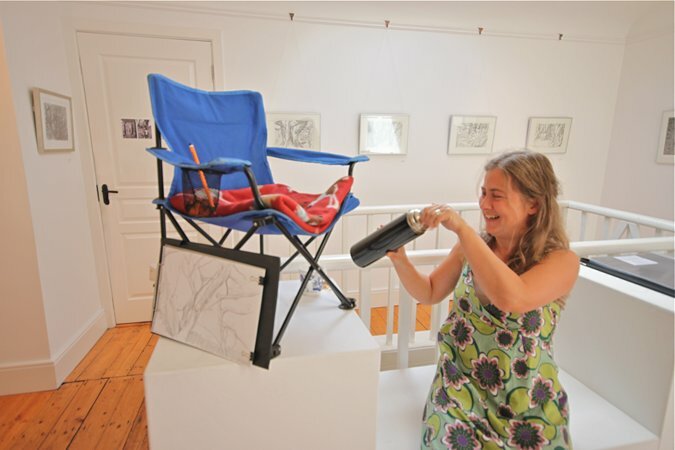 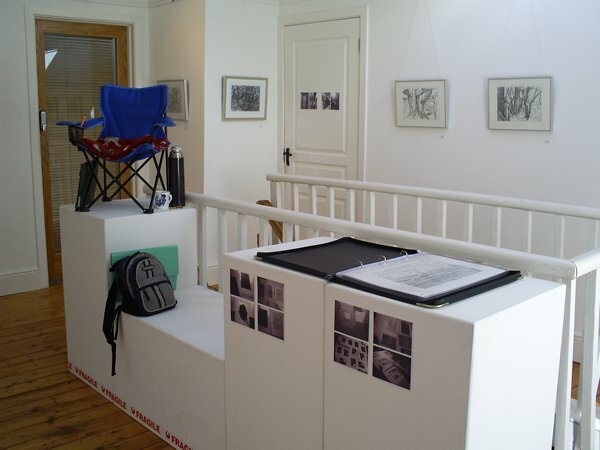 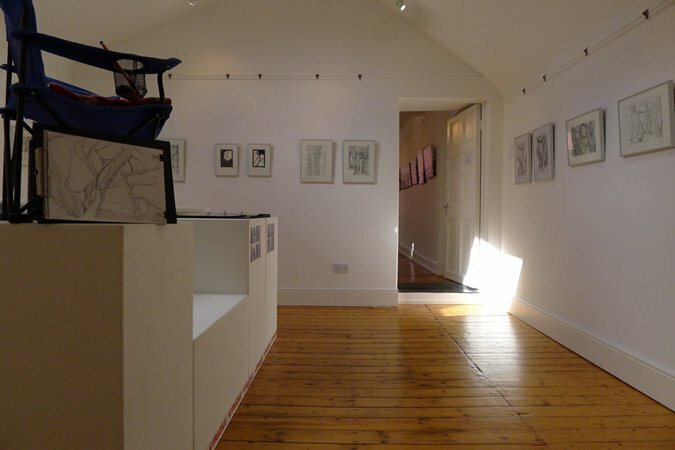 A Flask of Tea and Sandwiches was held in three rooms: Room 1 – all mono-prints; Room 2 – smaller mono-prints, small pen and ink sketches of the houses in the local townlands, and an installation dedicated to banning hydraulic fracturing for shale gas in Ireland (hence, the ‘fragile’ tape added to room also); Room 3 and landing – older work not seen before in Solas Gallery. 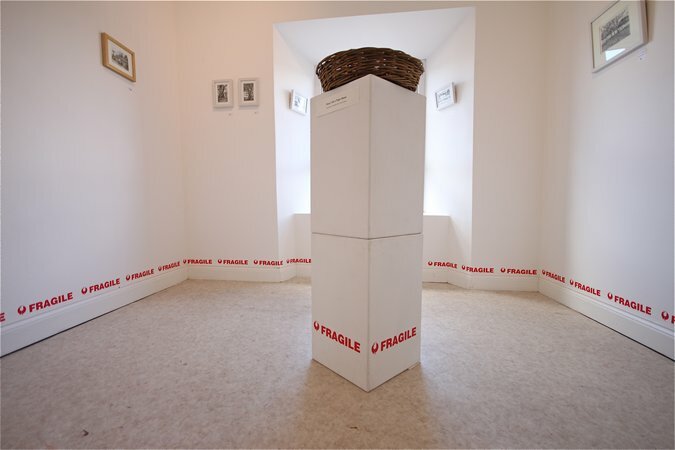 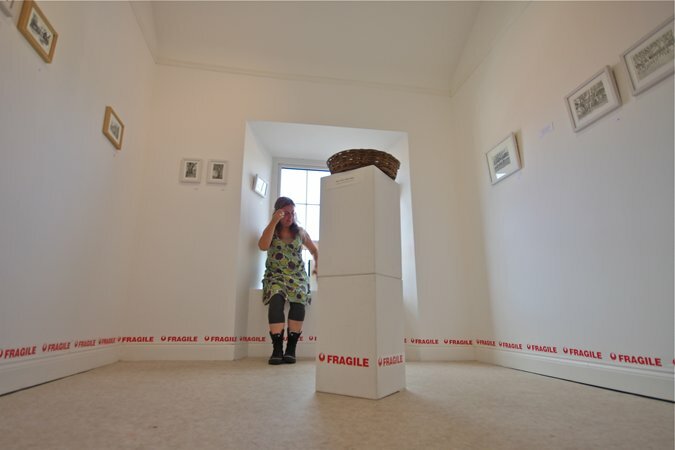 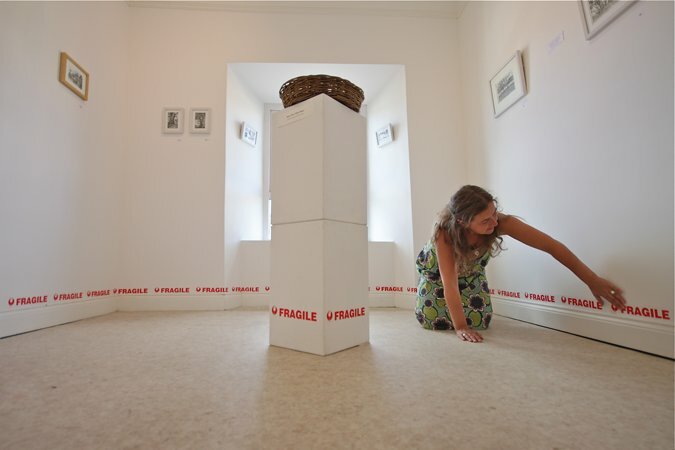 Please note the Fragile tape around the exhibition was to subtly deal with the real threat we had here in Ireland with hydraulic fracturing / fracking for shale gas being implemented at that time. 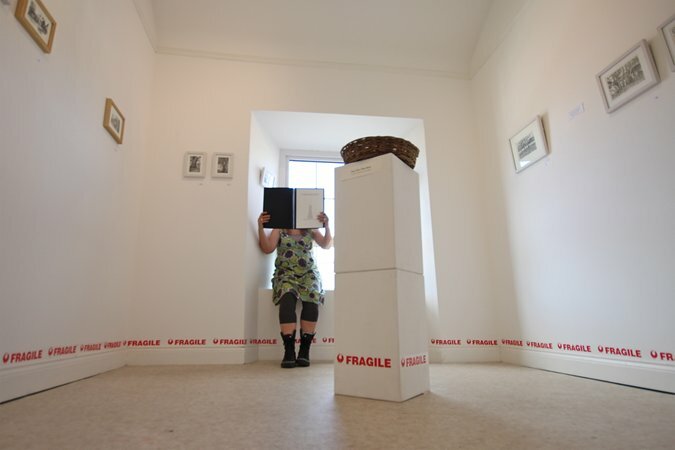 Also note, the black folder I was holding contained pages of lists of all the townlands that were viable (shale bedrock) to be fracked. 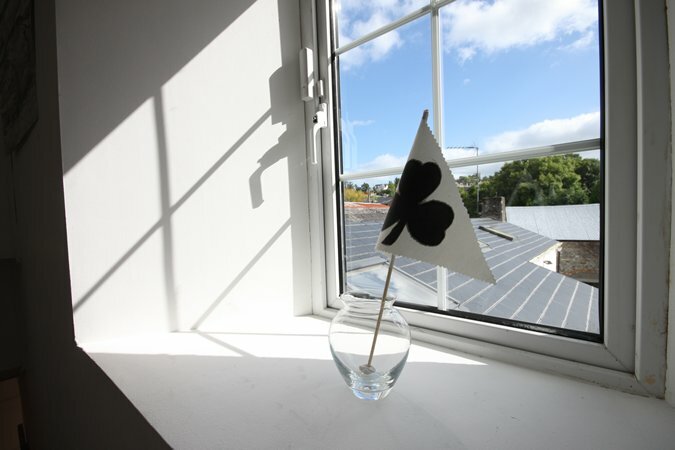 This has now been banned on the land of Ireland. 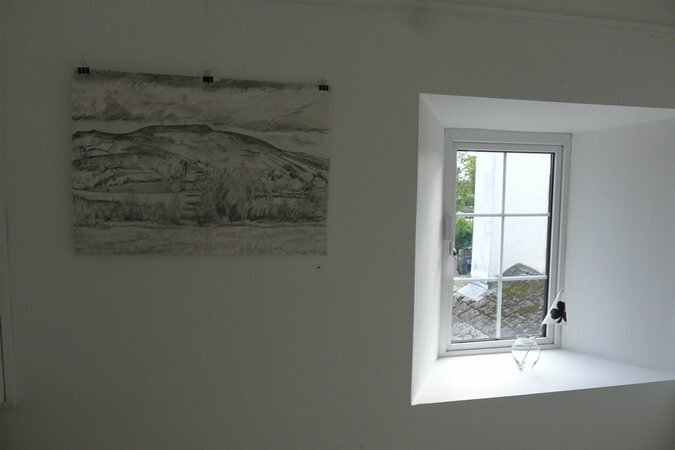 I shared the gallery space with Mary Wilson, who had her solo exhibition in the big room. 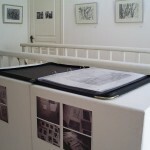 I had the small room and the top two rooms. 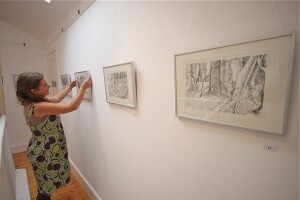 This show was opened by Gail Quinn. 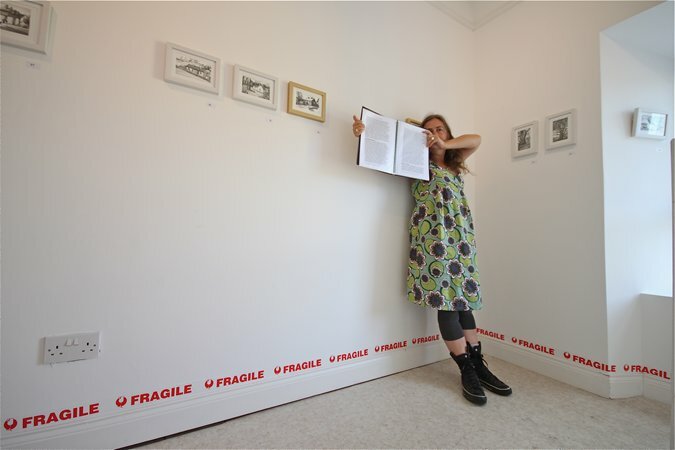 She did a fantastic speech for the both of us. 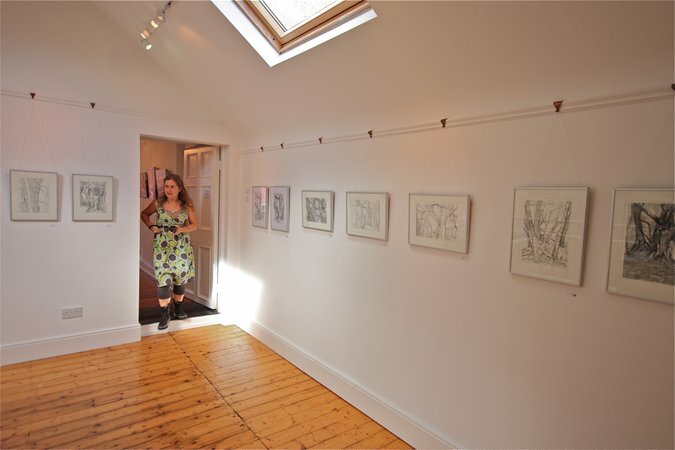 Adding photographs..finally..taken by Séan Gilmartin.